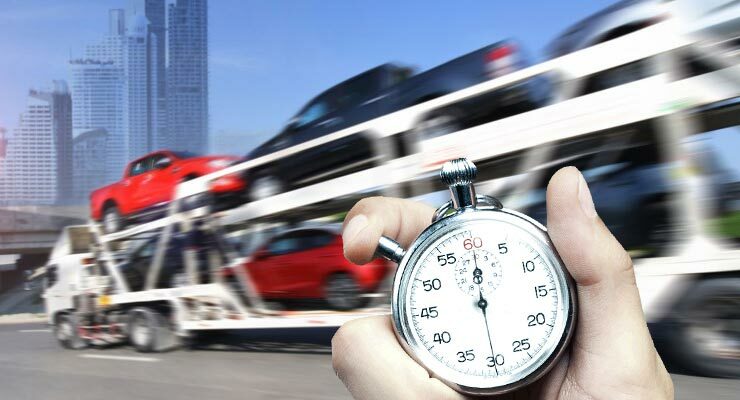 When you’re searching for a car delivery company with expedited shipping, it’s important to find someone you trust. Any mishap can be expensive, especially if you’re transporting a luxury car, so you need insured drivers who are trained to handle heavy machinery. That’s where Loadaza Auto Transport can offer a helping hand. For more than ten years, our Chicago based care delivery company has offered expedited shipping options for those hard-to-foresee circumstances requiring relocation. We help military families too. We understand that orders are orders, and you don’t get a lot of time to prepare in some situations. Expedited shipping options are available on both open and enclosed carriers, so we can service classic and high performance vehicles too. We work with a fleet of highly trained drivers, which means we can always arrange for safe transport within a moment’s notice. We’ll first need to provide a quote, but we can work directly over the phone with you to speed things up. Please call us today at to start the process, and be sure to have as much information about your vehicle as possible. If you like our price, we can book everything immediately, and we provide real-time tracking for the entire trip. Remember to ask us about door-to-door service too. Got Questions about expedited shipping?